Get ready to rev up your motors, hit the dirt, and become "World Champion Remote Control Racer". But first, you'll have to prove you're the quickest, most radical, maneuver-maniac on the high-speed circuit today. How? By zooming through 10 different courses that get harder and trickier with each turn. Beware of dangerous track cross-overs, and of course, the rest of the field of expert R.C. Racers. 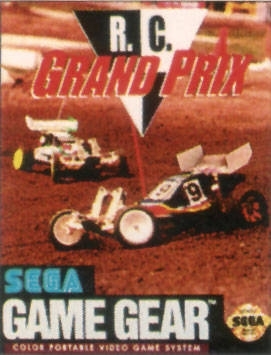 During the tournament you'll get a bonus head-to-head Drag Race, too. So you can race your buddies to see who's the fastest on the track!